Former Browns wide out and founder of the Cleveland Peacemakers Alliance Reggie Rucker was charged today in federal court with using hundreds of thousands of dollars from the account of an inner-city Cleveland charity to satisfy Las Vegas gambling debts and to pay personal expenses. The Associated Press has the story about the charges filed against the 68-year-old and how Rucker has agreed to plead guilty to charges. The charges against Rucker, 68, are contained in an information, which indicates Rucker has agreed to plead guilty. Rucker was a wide receiver who played 12 years in the NFL from 1970 to 1981, including seven seasons with the Cleveland Browns. He’s charged with one count of wire fraud and one count of making a false statement to an FBI agent. He is scheduled to be arraigned Feb. 24. 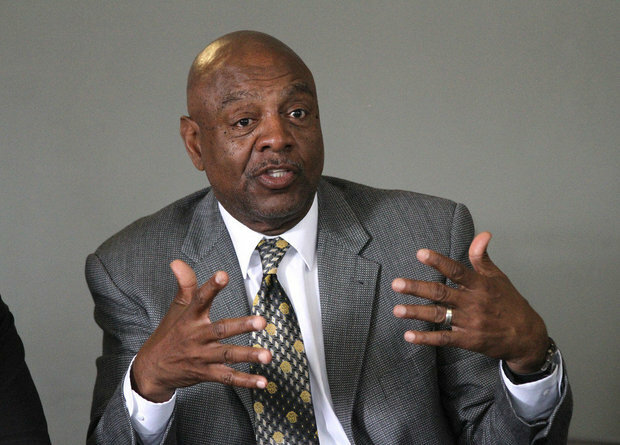 Rucker was executive director for Amer-I-Can Cleveland, a nonprofit group that is an outgrowth of an organization created by Browns Hall of Fame running back Jim Brown in Los Angeles. Rucker also played a lead role with Cleveland Peacemakers Alliance, a coalition of groups that employs outreach workers to quell violence between rival gangs and factions in Cleveland. Amer-I-Can Cleveland is a registered nonprofit; Peacemakers Alliance is not. According to the information, Rucker solicited foundations, organizations and individuals to make donations and would routinely begin withdrawing money for his personal use after funds were deposited into the Amer-I-Can account. The withdrawals occurred from 2011 to 2015. Rucker used $65,000 in donations to pay off markers at Las Vegas and made $48,000 in ATM withdrawals at casinos in Las Vegas, Cleveland and Tampa, Florida, the information said. Around $35,000 of the casino withdrawals were in 2014. Rucker attorney Michael Hennenberg said Tuesday that Rucker ended his involvement with the two organizations within the last year. Talks Between the Redskins and QB Cousins Break Off; Could the Browns Swoop In and Sign Him?